Make dinner a selfless act by joining us for a fundraiser to support Avon Lake Early Childhood PTA. 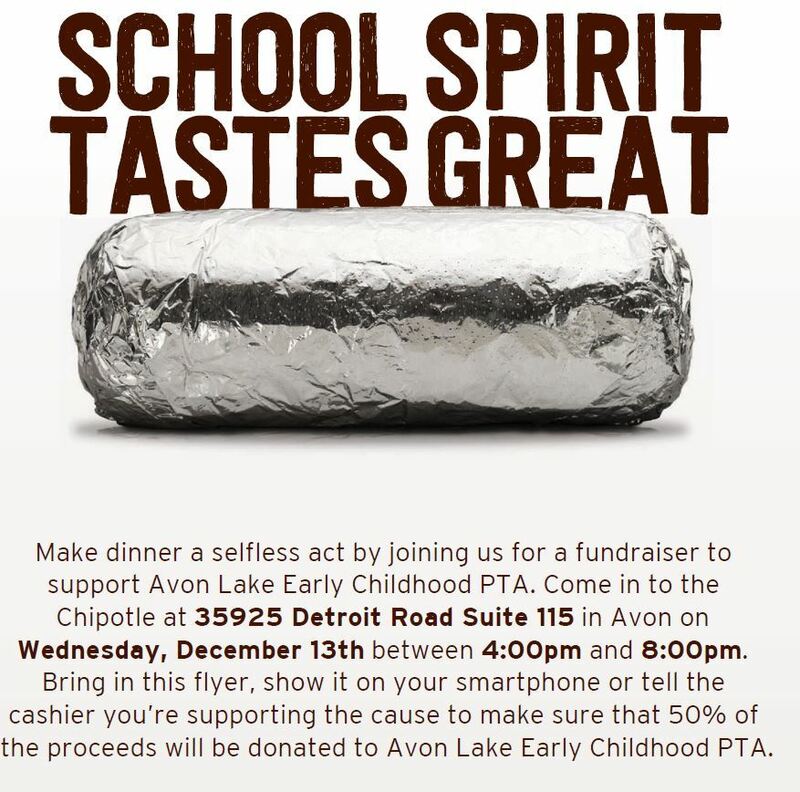 Come in to the Chipotle at 35925 Detroit Road Suite 115 in Avon on Wednesday, December 13th between 4:00pm and 8:00pm. Bring in this flyer, show it on your smartphone or tell the cashier you’re supporting the cause to make sure that 50% of the proceeds will be donated to Avon Lake Early Childhood PTA.